Napa Valley is the heart of the American Cab scene. Follow this Cabernet Sauvignon-centric itinerary along Highway 29 to get a taste of why. So, you want to taste some Cabernet Sauvignon? Bottlings that are effusive, exuberant, sunshine-ripened and well-made? And maybe meet some of the people who make it, love it, own it and live it, too? A trip to Napa Valley, California, the epicenter of the American Cab scene, is in order. The beauty of this valley is that it’s pretty easy to navigate. Bustling Highway 29 runs from the city of Napa north to Calistoga. There’s also the Silverado Trail, a parallel road just to the east that will lead adventurers off the beaten path. Both offer worthy spots to get your Cabernet fix. Coombsville attracts up-and-coming producers who seek a cooler climate and a sense of adventure. These arteries are perfect for exploring not only the best wineries, but fine dining and natural beauty, too. They also lead to the benches and back roads of the valley’s famous mountain appellations. There’s an abundance to discover. The suggestions that follow offer a way to immerse yourself and make the most of your time, even if you only have a few days to spare. With harvest just around the corner, now’s a great time to go. Many visitors to the Napa Valley like to begin in the city of Napa itself, which in recent years has emerged as a destination with plenty to offer. You can hear live music at the Blue Note Napa, Uptown Theater and Silo’s Napa, but let’s be real: People come here mostly to eat and drink, and unlike much of the rest of the valley, the city doesn’t roll up its sidewalks too early. Locals, especially younger people who work at wineries, restaurants and tasting rooms, can be found at Compline, a fairly new restaurant, wine bar and shop. The brainchild of Master Sommelier Matt Stamp and partner Ryan Stetins, it’s an intimate space with impeccable service, an inventive menu and adventurous wine list. The bar is open until midnight, while the wine shop closes at 11 pm. The shop offers an array of options, many between $10 and $40, including some fun Napa Cabs you’d be hard-pressed to find elsewhere. It also hosts classes and carries a well-tended selection of wine books. Next door is the brand-new Archer Hotel Napa, which houses Charlie Palmer Steak, a lauded steakhouse with Cabernet to spare. Up top is the Sky & Vine Rooftop Bar, a popular place to hang out, take in the view and enjoy its fire pits. It’s open for breakfast, lunch and dinner, or just drinks. Walking distance through a downtown alley is Cadet Wine & Beer Bar. Owned by Colleen Fleming and Aubrey Bailey, it highlights the California producers they love. It’s run as “a place for everyone” and offers everything from grower Champagne to canned beer. A record player spins assorted vinyl, and light snacks and sandwiches are available. Guest bartender nights on Wednesdays and tap takeovers are a good time to come, but it’s also hard to pass up on Mondays, when they celebrate Bubble Night with discounted sparklers from both near and far. At St. Clair Brown Winery, also downtown, taste wines, as well as beer from Elaine St. Clair and Laina Brown’s “nano-brewery” in the Greenhouse Tasting Room, set amid its culinary gardens. The Ackerman Heritage House, a restored 1888 Queen Anne Victorian, is home to Ackerman Family Vineyards. The winery’s Cabernet Sauvignon is sourced from Coombsville, just east of town. One of the Napa Valley’s quietest appellations, Coombsville was officially recognized in 2011. It attracts up-and-coming producers who seek a cooler climate and a sense of adventure. 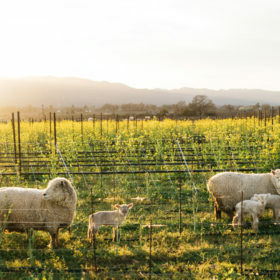 Winemaker Andy Erickson, of Favia Erickson Winegrowers, lives here with his family and calls it the “Brooklyn of Napa,” for its grit, soul and rich history. North of Napa along Highway 29, behind Bistro Don Giovanni, is Ashes & Diamonds. It’s the vision of Kashy Khaledi, a marketing executive who worked in the Los Angeles music and film industries. Ashes & Diamonds employs two winemakers, local wine hero Steve Matthiasson and Diana Snowden Seysses, who was raised in Napa and also makes wine with her Burgundian husband at Domaine Dujac. The Rancho Pequeño Cabernet Sauvignon from Oakville is understated and delicious. Inglenook is being restored to grandeur through its owner, Oscar-winning movie director Francis Ford Coppola, and his winemaking team, Philippe Bascaules and Chris Phelps. Farther north is Yountville, home to famous restaurants like The French Laundry, Bouchon and Redd. Stop in at K. Laz Wine Collection, run by Wine Enthusiast “40 Under 40” honoree Kerrin Laz. She’ll create a unique tasting experience of hard-to-find wines, many of them highly allocated cult selections such as Screaming Eagle and Dana Estates. Laz also has a brilliant collection of cellar wines, with a few under $100. Nearby is Stewart Cellars, a young brand founded in 2000 that’s based in a tony courtyard behind Southside Yountville Café. Winemaker Blair Guthrie works with all six of famed grape grower Andy Beckstoffer’s heritage vineyards in the valley, one of the few to do so. Tastings of its Cabernets, as well as the brand’s other wines, are offered inside the Nomad Heritage Library. Still north is Rutherford, home to fabled Inglenook, founded by Gustave Niebaum in 1879. It has gone through many iterations, its glory traceable to the late John Daniel Jr., father of Robin Daniel Lail, a Napa Valley legend and pioneering vintner of Lail Vineyards. Inglenook is being restored to grandeur through its owner, Oscar-winning movie director Francis Ford Coppola, and his winemaking team, Philippe Bascaules (who also makes the wines at Bordeaux’s Châteaux Margaux) and Chris Phelps. Its signature Cabernet, Rubicon, is made from the best of the organically farmed estate. After Rutherford, head north on Highway 29 to St. Helena. Press is not only one of the best restaurants in the valley—especially for steak—but also has one of the region’s premier wine lists. Its founding mission was to house the world’s largest collection of Napa Valley wines. There’s an enviable selection of library wines, like the 1980 Cabernet Sauvignon from Mayacamas Winery on Mount Veeder. Many half bottles are offered, too. The rumored favorite spot of Rihanna, Acme Fine Wines is a good place to grab bottles to go or ship home. Along Zinfandel Lane, which connects Highway 29 to the Silverado Trail just before getting into town, Wheeler Farms Wine is the second act of Araujo Estate founders Bart and Daphne Araujo. In addition to the house wines, a handful of winemaking partners also crush and produce at the site’s state-of-the-art winemaking facility; many are available to taste on location (including the Araujo’s new Cabernet, from Accendo Cellars). While you taste, check out the chickens that roam free among the culinary gardens. In town, The Charter Oak is the second restaurant from the team at Meadowood, which boasts three Michelin stars. Much of the food is smoked over wine-soaked Cabernet barrels. Across the street, veer off track slightly for a delicious take on beer at the taproom for Mad Fritz, the brainchild of Nile Zacherle, winemaker at David Arthur Vineyards. Taste through the brews that were aged in French oak barrels that once held local Cabernet Sauvignon. The rumored favorite spot of Rihanna, Acme Fine Wines, is a good place to grab bottles to go or to ship home. Small-production Napa projects are given the love they deserve here, and can be tasted before purchase. Many wineries in the Napa Valley are open by appointment only. This allows producers to provide the twin luxuries of space and attention, as well as exclusive and winery-only wines. Here are some worth booking. AXR is a new spot on a historic estate between Calistoga and St. Helena. The wines are made by Jean Hoefliger of Alpha Omega Winery and The Debate. Cade Estate Winery, high atop Howell Mountain, has unrivaled views of the valley and plenty of outdoor seating. It’s also the region’s first LEED Gold-certified estate winery dedicated to organic farming. Bottles from sister wineries Odette Estate and PlumpJack Winery may be tasted here, too. Crocker & Starr, tucked behind an industrial hub near St. Helena, has a personalized vineyard experience worth taking. They also offer what they call the “Farmhouse Porch Experience,” a tasting at the winery’s 1918 farmhouse that is reserved for guests who have a limited amount of time. Dana Estates sits just under the Mayacamas Mountains in Rutherford. It’s a favorite of local winemakers, visitors and savvy collectors alike. 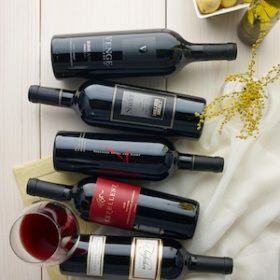 The estate makes three single-vineyard wines and just launched a value-priced sister brand, Vaso Cellars, which can also be tasted here. Melka Estates is famed consultant Philippe Melka’s personal pied-à-terre and production site in St. Helena. It houses a 3,000-bottle library of Melka wines that goes back 20 years.